Aibowu is a scientific practice program for teenage students of BGI. “meet Science and Meet your future self ”, Aibowu organizes training programs bythe world&apos;s top multidisciplinary scientists and laboratories for teenage students, including basic scientific education and innovative training programs for studying overseas and future career planning. 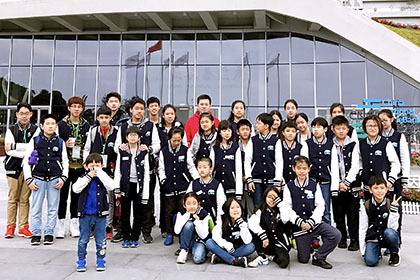 The Aibowu Young Student Science Forum is currently the most influential youth science popularization forum in China. It aims to provide relevant scientific education and discussions through organizing or co-organizing scientific conferences, visionary science forums, and philanthropic activities in relation to scientific andtechnology applications, forencouraging young people to participate, operate and interact with scientific community. In 2017 Aibowu has successfully organized a number of themed events, including Aibowu Young Student Science Forum (Special Session of the International Genomics Conference), Aibowu Young Student Science Forum (Tencent WE Conference). 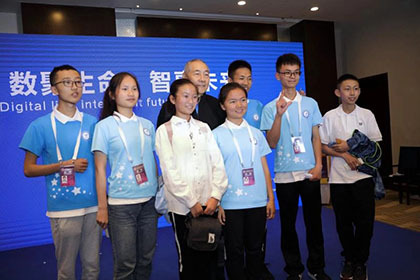 In 2018 Aibowu has organized the Aibowu Young Student Science Forum (China International Big Data Industry Expo Special Session), Aibowu Young Student Science Forum (Future Forum Special Session), Aibowu Young Student Science Forum (Microsoft Asia-Pacific R&D Group), Aibowu Young Student Science Youth Forum (Baidu Special Session), Aibowu Young Student Science Forum (China Aerospace Qian Xuesen Lab) , Aibowu Young Student Science Forum (Clean Energy Center Special Session). Aibowu Science and Technology Youth Forum has received generous support from research institutions and companies e.g. 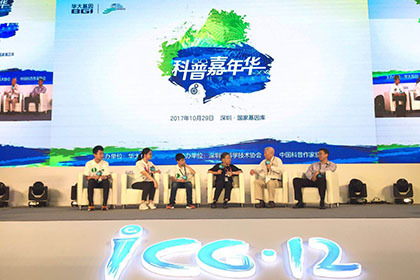 China Aerospace Qianxuesen Laboratory, Institute of Software of Chinese Academy of Sciences, China National Gene Bank, International Genomics Conference, Tencent, Microsoft, Baidu, Ubisoft, and Xicui.